The Go-To Bar for all sporting occasions. Football? Check. Boxing? Check. Rugby? Of course. The Aussie themed chain venue offers numerous large HD screens throughout their venues with commentary throughout with no blaring music to compete with. A typically large venue, you can always guarantee a seat (although we would always encourage you to book!) and a decent view of one of their many large TV screens. Walkabout is also well-known for their ideal sports snacks, we’re talking wings, fries and nachos. Better yet, the venue provides table service so there’s no awkward wait at the bar. One for the lads and definitely a place to take your Dad. This traditional pub is a popular destination to watch sports, this “old school boozer” has 3D televisions and rugby memorabilia popping up around the venue making it Cardiff’s ultimate premier sports pub. That’s not forgetting to mention the quality ales and delicious food on offer. The must-stop destination for travellers in the Capital City. The Prince of Wales is based a short walk away from Cardiff train station and as a part of the JD Wetherspoons chain, you know what to expect. Cheap drinks, lively atmosphere and well-priced food from an extensive menu. 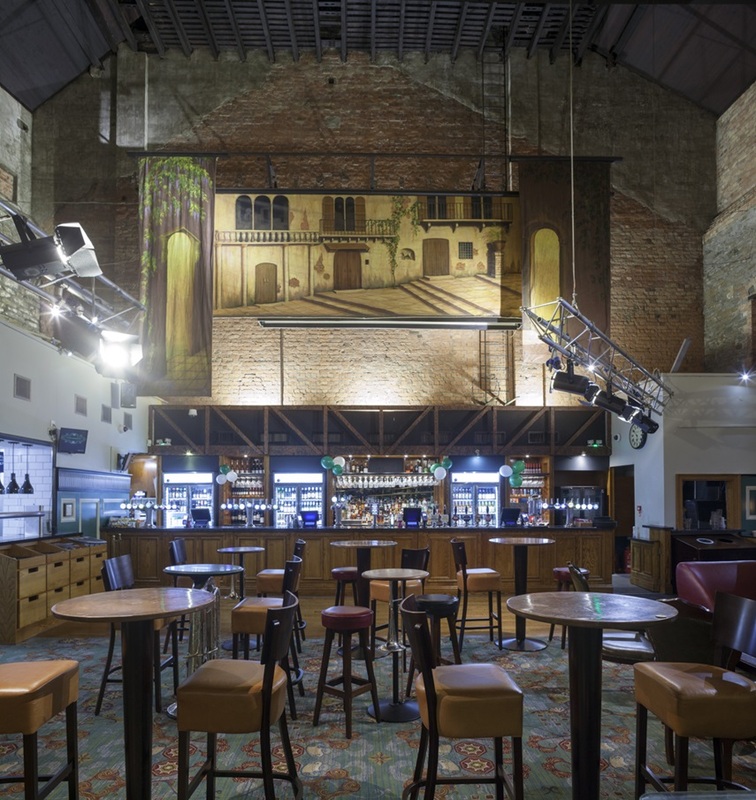 The pub was originally a grand theatre, keeping the theatre’s original structure the pub has decorated the interior with stucco decoration and a dining area across from the stage. Despite it’s classy history and architectural design, The Prince of Wales isn’t one to shy away from the hustle and bustle of the Six Nations and the atmosphere is wild. Don’t forget to put your table number onto the app and see what drinks get sent your way! An American sports bar placed in one of the most infamous streets in the little country of Wales. The Bucket List is notorious for their delicious American cuisine, popcorn shrimp, corn dogs, loaded fries and the best hot dogs in the city. Need we go on? The bar offers up to 50 different beers from all over the world and even sells steins, that should get you through the first half of the game at least. The bar has a secret that is only available to those who become members. The upstairs of the venue has been converted into a fully fledged games room with pool, beer pong and Street Fighter. Several large screen TVs and a projector cover the venue (both upstairs and down) with live commentary to go with it, more often than not there’s live music to continue the party. 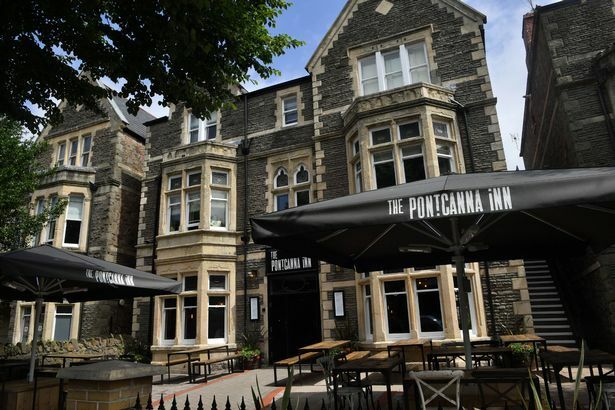 Just slightly out from the City Centre, The Pontcanna Inn can be found on Cathedral Road. Don’t let it’s location fool you, the pub will be extremely busy for all games. The venue is on a road filled with B&Bs and is the perfect location to enjoy the atmosphere of the Six Nations whilst avoiding the crowds that linger on the City Centre streets. The Pontcanna Inn is both a pub and B&B, offering ten beautifully decorated, en-suite boutique style bedrooms for those staying the night. There’s the added bonus of a delicious menu from breakfast, brunch, light bites and a tasty dinner menu. The Pontcanna Inn has an extensive beer garden which they dedicate to the Fan Zone during large sporting games and events. Pop Up Bar Hire will also be making an appearance at The Pontcanna Inn, so make sure you say hi to the team! 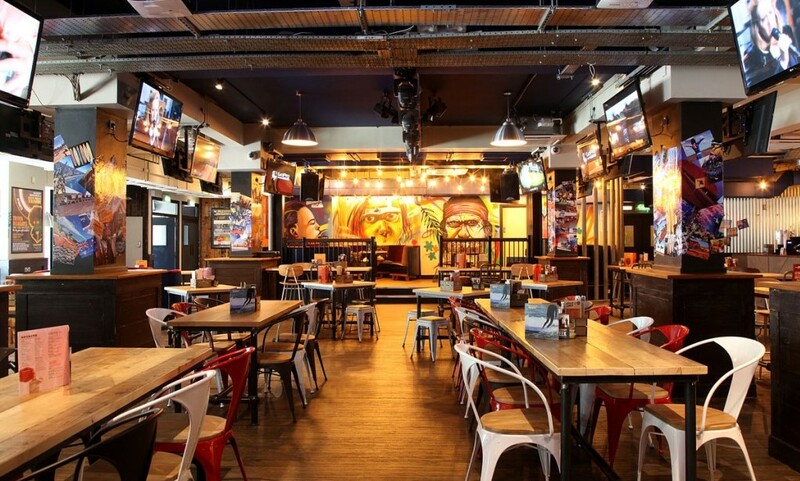 The venue is perfect for large party bookings and a hearty rugby atmosphere with the added bonus of skipping the aggressive hustle and bustle of the capital city. Far out of Swansea City Centre and a world away from the chaos of Wind Street resides The Farmers Arms in the small village of Waunarlwydd. This small pub was a village favourite that left the residents devastated when it closed it’s doors for what seemed like a lifetime. 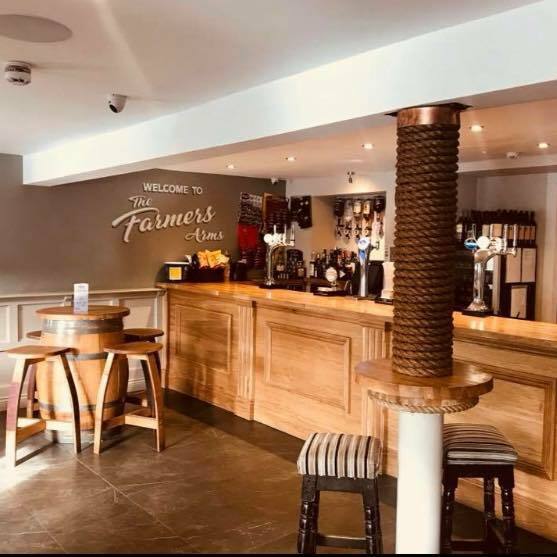 However, The Farmers Arms reopened in 2017 to display a fully refurbished and modern pub equipped with kitchen, restaurant and an extended outdoor area for children, including a party bus! The Farmers Arms has that homely feel we’re all after during the Six Nations. The pub runners, Ceri & Simon Daniel are local heroes in this small-time village and for all large sporting games and events, The Farmers Arms is the only place to go for a warm, welcoming vibe. 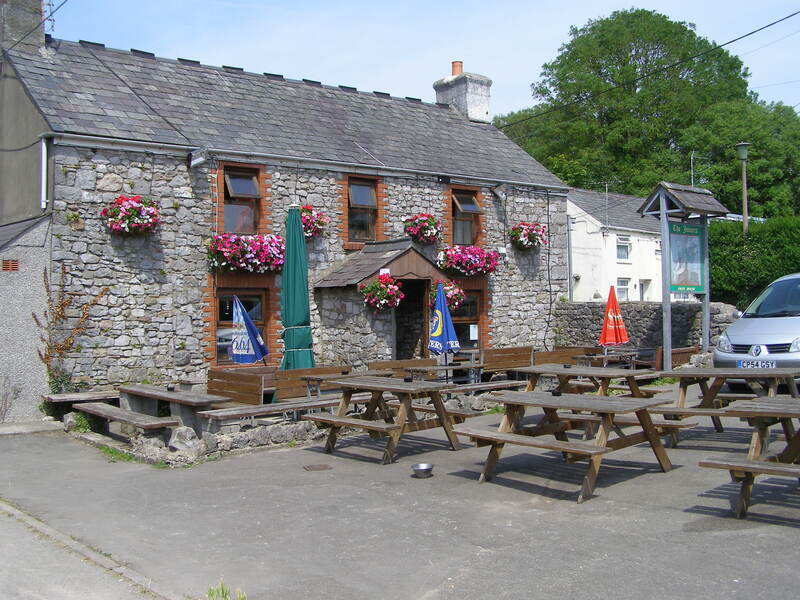 The pub offers an extensive range of draught beers including the locally brewed, Gower Gold. The Farmers Arms also offers a delicious lunch, dinner and light bites menu with deals on their delicious pizzas throughout the Six Nations, in addition they often hand out free portions of sausage and chips to customers during the game! Did we mention all food is cooked by pub runner, labourer, local rugby coach and village celebrity, Simon Daniel? This pub is one for the old, the young, the village residents and the out-of-towners looking for a quiet yet atmospheric pub for the rugby. Originally a 16th century farmhouse based in Amroth, Narberth, The New Inn has undergone many changes since then but it has never lost it’s character or charm. The pub has been a family run business since 1975 giving it that homely feel throughout the year but more so during the Six Nations season. The pub sits just before the beach, offering fantastic views and a great opportunity to walk off the numerous pints consumed during the game or a hearty, homely meal cooked in the kitchen of The New Inn. 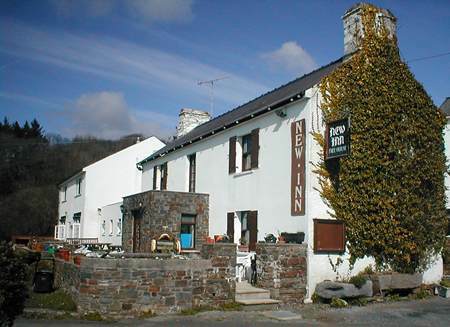 The New Inn is a hotspot amongst locals and summertime tourists, but there’s certainly nothing stopping you from heading down to watch the Six Nations in this beautifully placed, traditional farmhouse. Keep an eye out on their social media for weather warnings and traffic updates during this cold time of year. 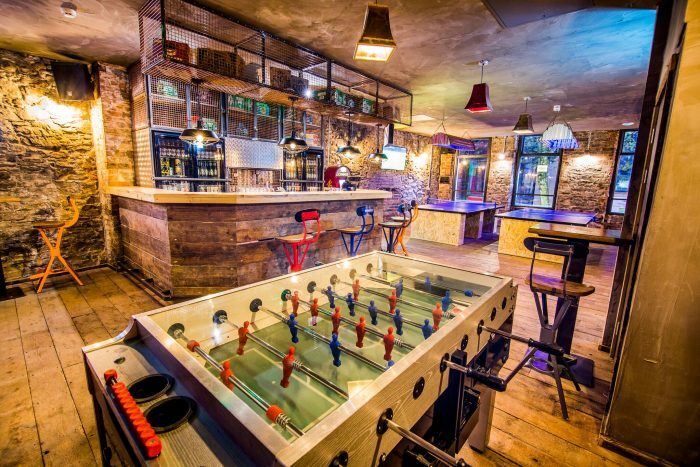 This pub is the kind of venue where you’d like to be around “authentic” rugby fans – you know what we’re talking about. It provides the kind of “rowdy crowd” you’d expect in any city centre but without the individuals who watch the rugby as an excuse for day-drinking. 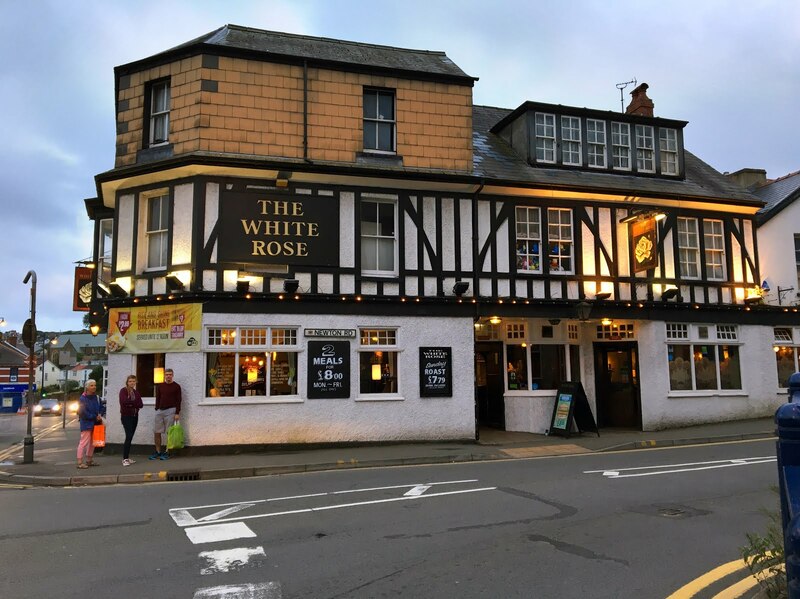 After the game you can leave the central landmark that is The White Rose and wander around Mumbles, take a walk down the pier or enjoy dinner at one of a range of delicious restaurants in the area. Mumbles is not short of venues to continue your night whether it’s cocktails, beers or a nice bottle of wine overlooking the sea – Mumbles has it all. A small pub in the heart of an old Gower village, not a far walk away from some beautiful beaches, including Caswell and Pwll Du Bay and just a short taxi ride from the seaside town of Mumbles. This traditional pub may be small but the atmosphere over the course of the Six Nations is huge. If independent is your thing, this pub is it. The Joiners provides a variety of self-brewed and locally brewed beers and cask ales, including The Three Cliffs Cask Ale, giving them the luxury of being completely independent and rightly so in the very small and homely village of Bishopston. Not how one would usually define a pub, this warehouse is well known for their out-of-this-world NYE events and weekly freaky bingo events. 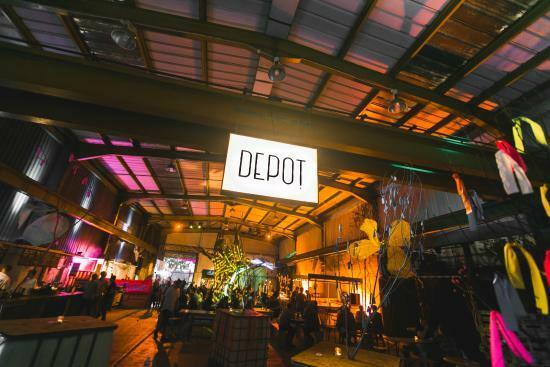 The Depot warehouse based on Dumballs road has established itself as the “most exciting venue in Cardiff,” a very short walk from the train station The Depot is known for their wild events, wild atmosphere and even wilder customers. The venue has it’s own bar and supplies food through local street food vendors, so you never know what you’re in store for but we can guarantee it will be delicious. The Depot is certainly the destination for those looking for a wild night followed by a night on the town in Cardiff City Centre. So get down to The Depot’s FanHub for a truly wild and unforgettable day of rugby.